For more on this book and the process of producing an e-version, read the History Matters blog post in full. 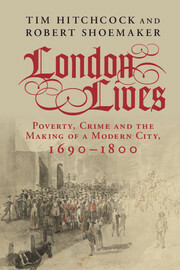 This entry was posted in News and tagged Bob Shoemaker, Digital Humanities, Digital Panopticon, History, History Matters, London, London Lives by Iona Hine. Bookmark the permalink.